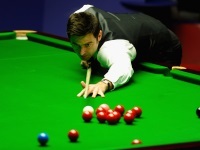 Davis M. - Bingham S.
O'Sullivan R. - Davis M.
O'Sullivan R. - Honghao L.
Zhou Y. - Williams M.
Xiwen M. - Fu M.
White J. - Haotian L.
Pengfei T. - Bond N.